Google has released an update for the iOS and Android Google Maps apps, integrating appointments made via the company's Gmail webmail service. The new version, which rolled out on Friday, will automatically show the location of meetings or reservations set through a Gmail chain, saving users from having to navigate in search. Also, as part of the update, those search results will now appear directly on the Map, which Google claims will allow users to make choices faster. The firm has also improved the Explore feature, which breaks down attractions, restaurants, amenities and things to do in the users current locale. 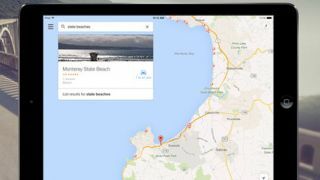 The app update comes just a few days after Google improved the desktop client allowing users to draw points on a map and measure the exact distances between them. That feature will prove useful for walkers, runners and cyclists aiming to accurately measure their workouts and also for people who just want to draw rude pictures on places they don't like.